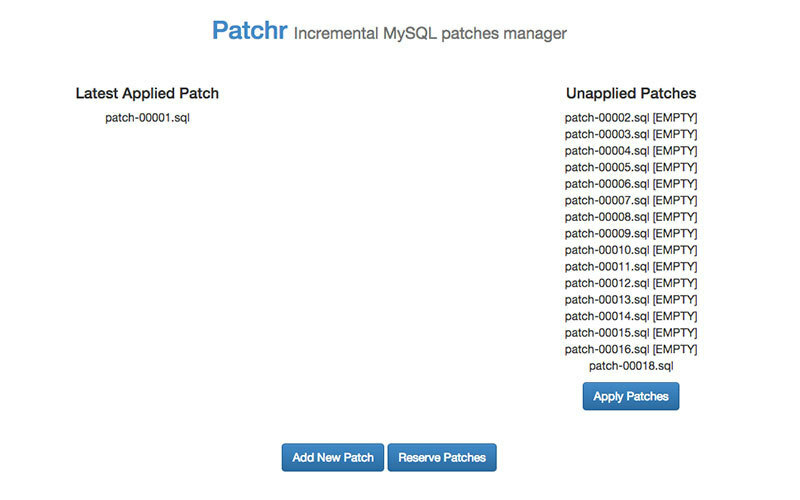 Patchr allows you to version control your database changes, allowing a team to easily share and review database changes. Database version control is a very important process of modern web development, providing an accurate history of schema and data changes. 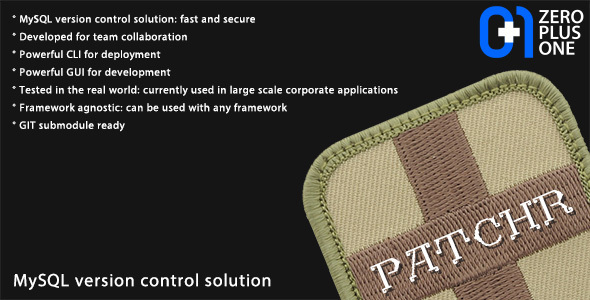 Most modern framework offers some form of version control under the term “migrations”. 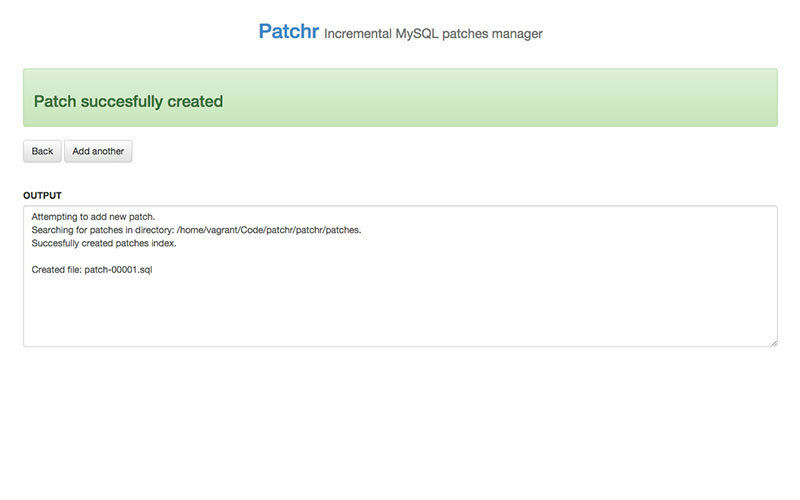 Patchr uses a different approach, allowing you to commit raw SQL, more compatible with legacy system and easier to understand by any new dev coming onboard. 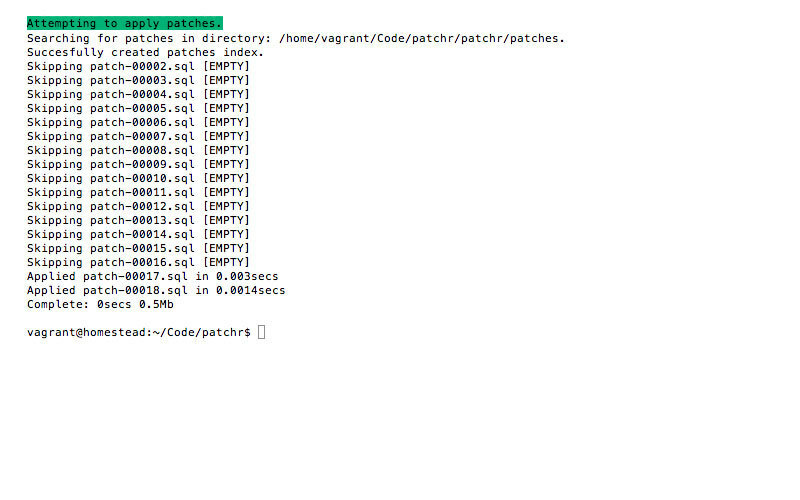 Patchr is developed with deployment in mind, exposing a comprehensive CLI. All my items are supported for years after the initial release, buy with confidence!